When Roger Federer won his 20th grand slam this year in Melbourne, he seemingly cemented his place as the greatest player in tennis history. But then Roger lost early in Miami and announced he would skip the clay season, giving Rafa a clear path to winning his 17th slam at the French Open this year. After winning his 11th titles in Monte Carlo and Barcelona, Rafa looks better than ever. He hasn’t lost a set on clay since last year. Rafa, 31, is five years younger. If Roger, 36, has reached his peak, and never wins another major, can Rafa catch him? One scenario: Rafa wins major number 17 at Roland Garros in Paris. He (or somebody else) beats an aging Federer in London, New York and then Melbourne. 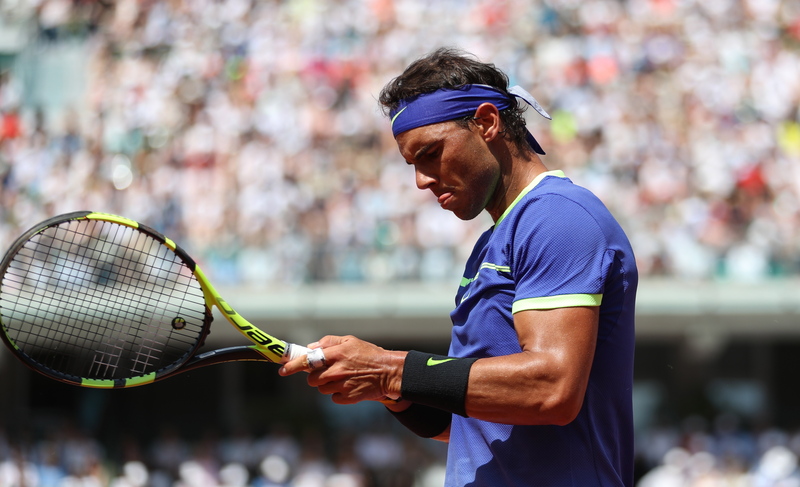 Even if Rafa wins only one of those three events, he can tally number 19 at Roland Garros in Paris in 2019, when he’s 33 years old. After that, he would need only one more slam to equal Roger’s 20. Imagine the summer of 2019. Roger is turning 38 years old. He’s dealing with a bad back or knee, and he’s split between a desire to retire and his lifelong love for the game. His beloved friend Rafa, only 33, is only one slam away from equaling his record of 20, and he seemingly has many events left to do it. Based on his current dominance on clay and what he calls “right determination”, Rafa seems more likely to win at least three more slams than not, if he stays healthy. That’s a big if in the world of tennis. Djokovic, Murray, Wawrinka, Raonic, NIshikori, Thiem, Goffin and others have been hampered by injuries. So has Rafa throughout his career. 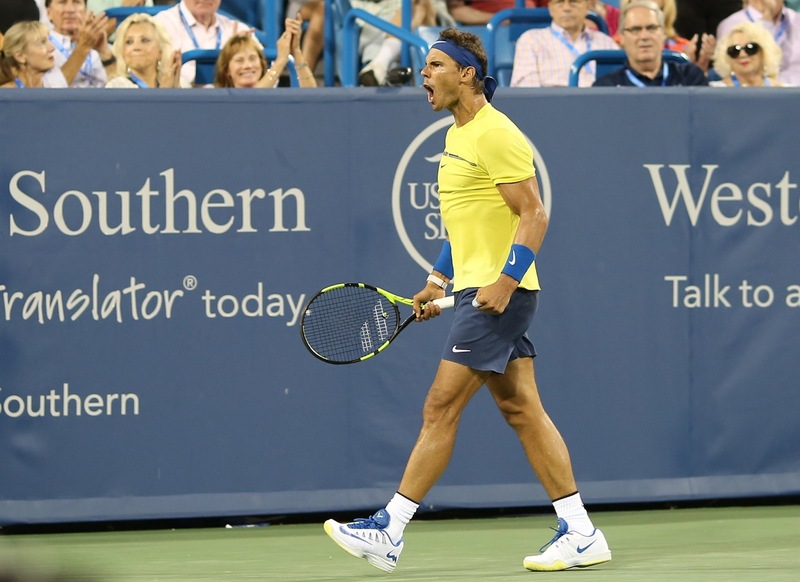 But at the US Open last year, Rafa showed that his serve, backhand and volleying are better than ever, and he’s faster and apparently more fit than Federer or almost anybody else on tour. 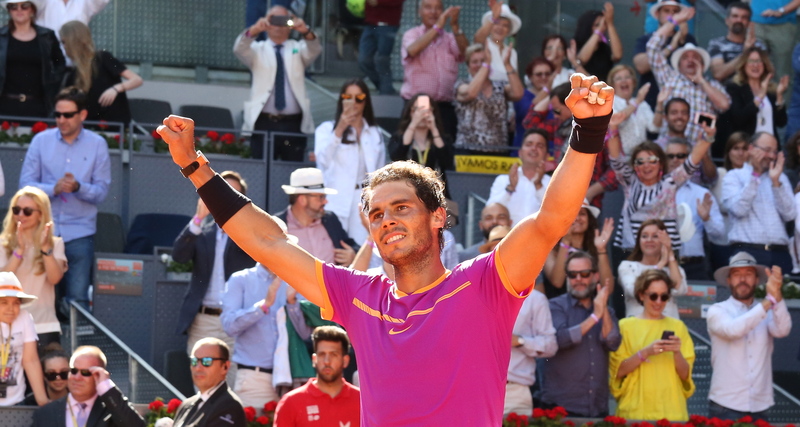 As he proved at Davis Cup in Valencia, nobody can touch Rafa on clay. Dominic Thiem or Alexander Zverev might overtake Rafa someday, but that day seems far away. If Rafa, like Roger, is still playing at age 36, this means he has five more chances to win Roland Garros, plus five opportunities at each other major. If Rafa ends up winning 21 slams to 20 by Roger, it will be hard for Federer fans to claim Roger is the greatest. Many argue that the majestic Federer is a better player than Nadal, regardless of titles. But the head-to-head speaks volumes. Though Roger has beaten Rafa recently on hard courts, Rafa still leads 23-15, including 13-2 on clay, a surface where Roger simply refuses to engage his main rival. Unless Federer can continue his magical revival, Rafa will likely win future matches as Roger becomes 37, 38 or 39 years old. 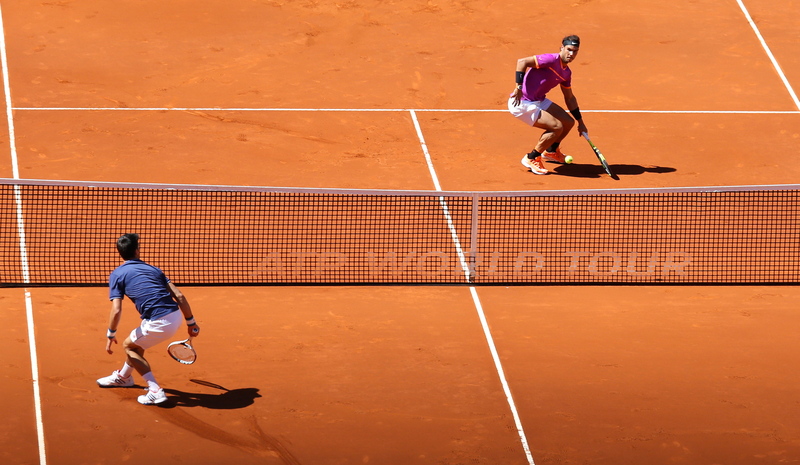 More than other surfaces, clay exposes flaws in games of players who can serve out of trouble on grass or hardcourt. Roger grew up playing on clay, but never beat Rafa at Roland Garros. Many Rafa fans believe that Roger decided to skip the entire clay seasons in 2017 and 2018 because he fears playing Rafa. Their argument is persuasive. How can someone claim superiority over a player if they won’t enter tournaments on his favorite surface? Federer is only 11-9 over Nadal on hardcourt and 2-1 on grass. In the 2008 Wimbledon final, the greatest match of all time, the winner was Rafa, not Roger. Federer won 8 of his slams at Wimbledon; Rafa has won only 2. Though the All-England club is the most hallowed ground in the sport, Wimbledon is only one of a handful of grass events in a sport normally played on clay (especially in Europe) or hardcourt (especially in America). In other words, Nadal already has 14 slams to Roger’s 12 on the two surfaces hosting more than 90 percent of the world’s competitions. Rafa also endured a more challenging road to his slam titles than Roger. Pete Sampras, perhaps foreseeing the rise of Roger (who beat him at Wimbledon in 2001), retired at age 31 before Federer won his first slam in 2003. Early in his career, Federer at slams only had to beat Mark Philippoussis, Marat Safin, Andy Roddick, Lleyton Hewitt, Marcos Baghdatis and Fernando Gonzalez. He had to beat Marin Cilic to win his 20th slam in Melbourne. 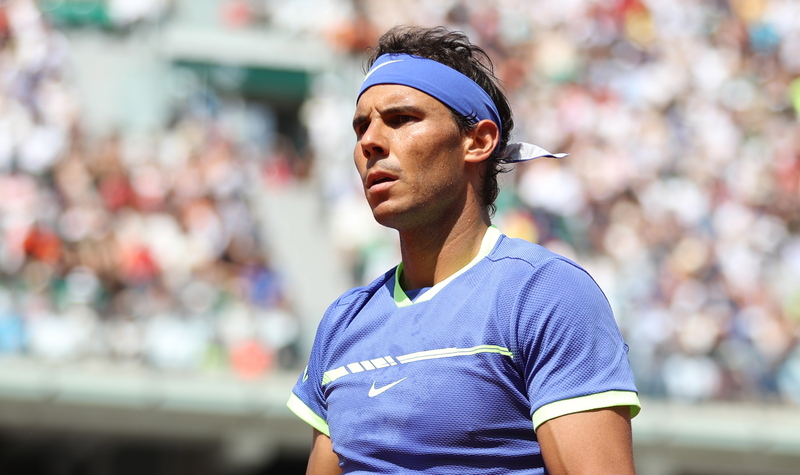 In most cases, Rafa had to beat three of the greatest ever players (Federer, Djokovic and Murray) to win his titles. He came onto the scene when Federer was already considered the greatest ever, and took titles away from Roger, Novak and Andy, not to mention Wawrinka, who has won the French Open as many times as Federer (once). Rafa is the most likely candidate to take advantage of any weakening by Federer, Djokovic, Murray and Wawrinka. Rafa has already gone through down time due to injuries, and he now looks as healthy and determined as ever. Zverev, Nick Kyrgios, Denis Shapovalov and other next generation players might still be a few years away from consistently dominating the tour. Cilic, Raonic, Nishikori and others have been riddled with injuries, and Grigor Dimitrov and Gael Monfils still haven’t gone beyond a semi in a slam. 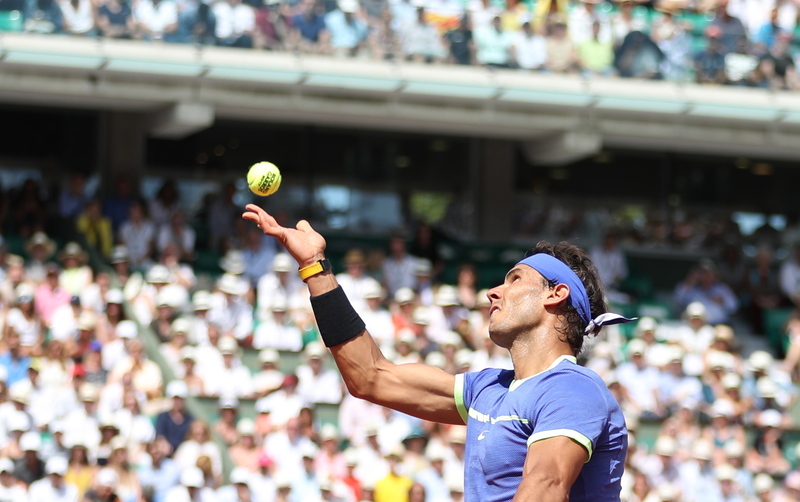 All of this opens up the field for Rafa, and he appears ready to take it. Will Rafa end his career as the greatest player of all time? Much depends on Roger and another rival who has 12 slams — Novak Djokovic. ← Big year ahead for Big John Isner?